Have you ever wondered what was going through the minds of the Madison College founders when they started this place? Many people have, especially Albert Dittes, our local Madison College historian. He not only keeps the Madison College story alive, he also is the editor-at-large for the Madison Survey the college alumni newsletter. 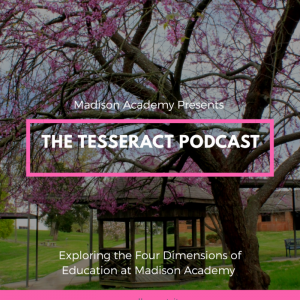 In this episode we delve into why this place has impacted the Southern Union astronomically and Seventh-Day Adventism significantly.Listen to the newest episode of my podcast, Tesseract Podcast: Meet the Madison College Historian.